I’m seldom captivated by editorials because the models usually look vacant. 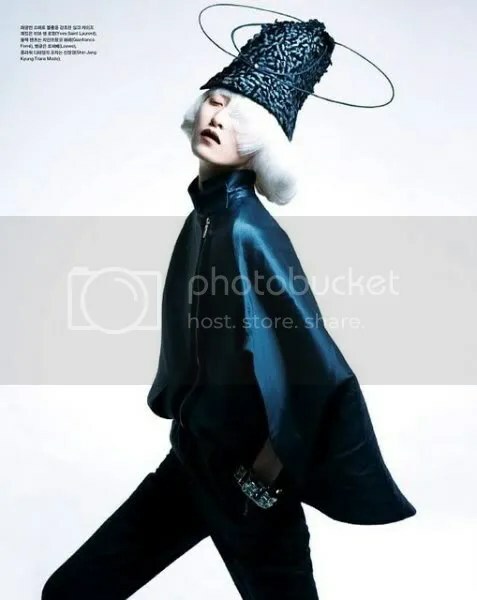 But in this case, this is one of my favourites, featuring Daul Kim in Vogue Korea. I like her as a blogger (I like to fork myself) before I begin to appreciate her works as a model. Oh the outrageous styling! 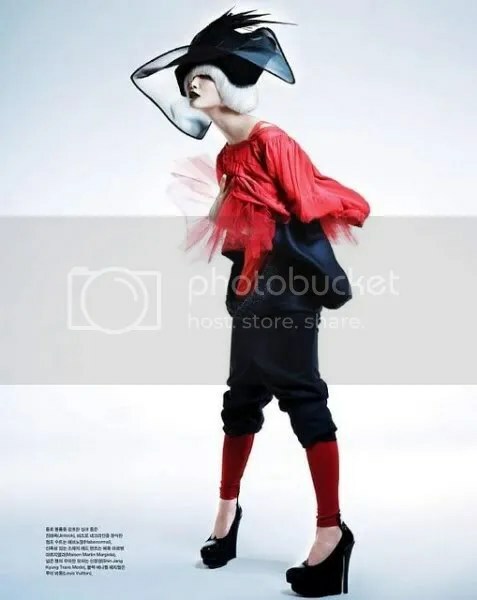 I adore the over-the-top head gears and those Stella McCartney boots.